Millions of patients in intensive care units each year develop delirium during their hospitalization and often leave the hospital with cognitive deficits similar to those suffering from traumatic brain injury or mild Alzheimer’s disease. For almost two decades, Vanderbilt University Medical Center researchers have been studying ICU patients on ventilators and modifying their treatment to combat the debilitating effects of delirium, the sudden disruption of consciousness marked predominantly by inattention and sometimes by vivid hallucinations and delusions. Delirium can occur secondary to sepsis, hypoxemia (low oxygen), metabolic problems such as liver and kidney disease, and perhaps most commonly by drugs (sedatives) given in the ICU. 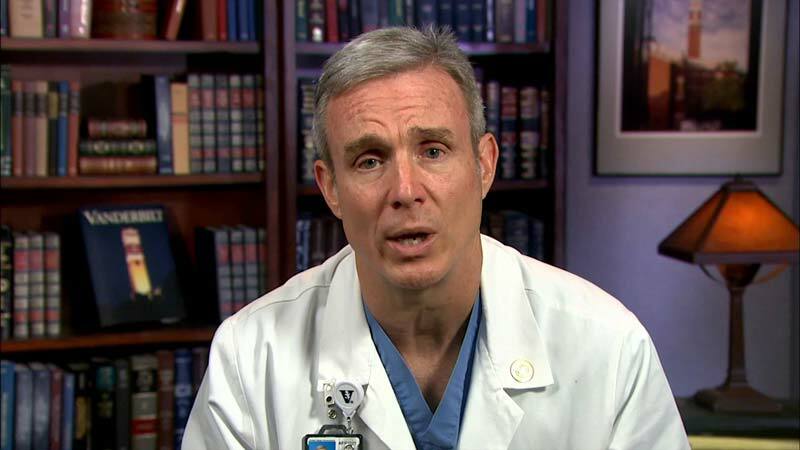 Wes Ely, MD, MPH, Grant W. Liddle Professor of Medicine, and his colleagues at Vanderbilt and the VA have identified delirium as one of the most critical problems facing ICU patients — linked with increased deaths, prolonged ICU and hospital lengths of stay and significantly higher medical costs. What no one knew until recently was that many of these patients end up with a long-term dementia that looks a lot like Alzheimer’s disease. They can’t remember things and have a hard time doing their jobs, often retiring early. 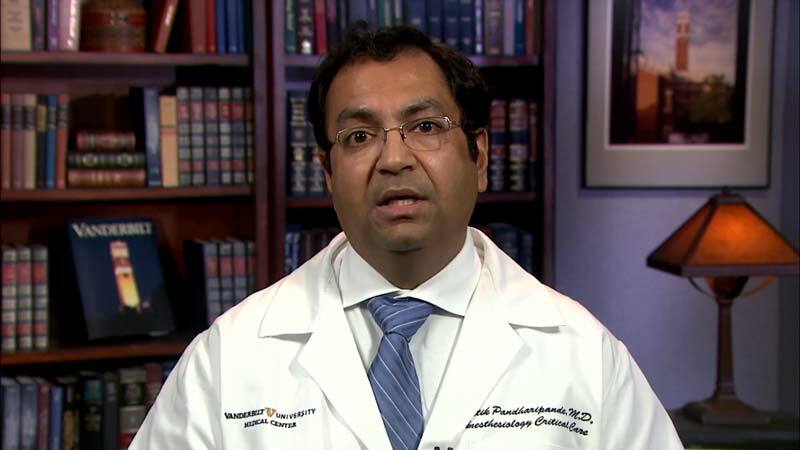 The Critical Illness, Brain Dysfunction and Survivorship (CIBS) Center is directed by Ely and Pratik Pandharipande, MD, MSCI, professor of Anesthesiology. The CIBS Center is composed of an interprofessional group of physicians, nurses, psychologists, biostatisticians, epidemiologists, pharmacists, physical and occupational therapists and numerous different sources of trainees. 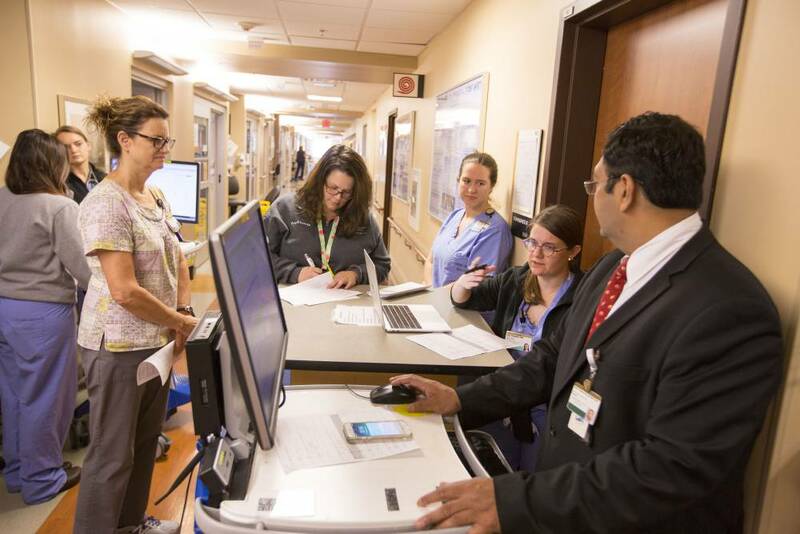 The center’s team members work with patients who are, or have been, critically ill and who have suffered from delirium and are at risk for long-term cognitive, functional and neuropsychological impairments. The center is part of the Center for Health Services Research within the Institute for Medicine and Public Health (IMPH) and is comprised of faculty from the departments of Medicine, Anesthesiology, Surgery, Psychiatry, Biostatistics and Neurology from Vanderbilt University, the Monroe Carell Jr. Children’s Hospital at Vanderbilt, the Nashville Veterans Affairs Hospital and investigators at external institutions across the United States and beyond. Previously, Ely and colleagues have developed and validated a clinical measurement tool, the Confusion Assessment Method for the ICU (CAM-ICU), which has been translated into more than 30 languages and is recommended as standard of care by the Society for Critical Care Medicine (SCCM) for all patients on mechanical ventilation. 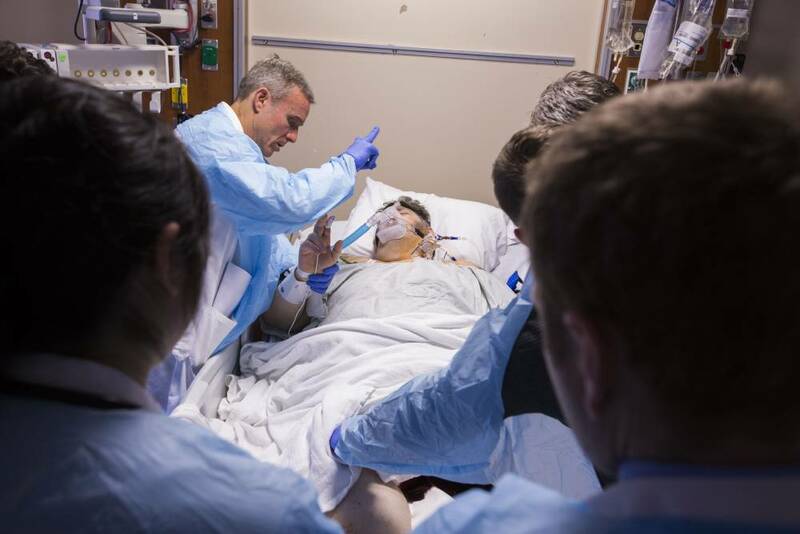 They also helped develop the newly revised “ABCDEF bundle” of protocols and guidelines, which interprofessional care teams can implement in partnership with patients and families to ensure a safe and comfortable ICU environment. A Vanderbilt study published in 2018 in Lancet Respiratory Medicine of more than 1,000 intensive care unit patients around the country, nearly three-fourths of whom experienced delirium, showed that many drugs given to sedate patients in the ICU are increasing their chances of — and duration of — delirium instead of helping them recover. The Vanderbilt study, led by senior author Ely and first author Timothy Girard, MD, MSCI (now at the University of Pittsburgh), showed that 71 percent of the participants experienced delirium at some point during the study, 69 percent had multiple causes of delirium, more than half had drug-induced delirium, and only one-third had a single cause. “The CIBS center exists to advance the science of what’s going on with patients after critical illness and how we can take care of them and their families, who are also suffering alongside the patient, holistically in the Vanderbilt ICU Recovery Center and support groups led by Dr. Carla Sevin, MD [Intensivist and Recovery Center Director],” Ely said.